New California Law Forces Board Diversity, But Is It Right? In a push to further corporate board diversity, California has enacted new legislation requiring publicly-traded firms in the state to have at least one woman on the board of directors. Companies have until the end of 2019 to comply or face penalties. The more directors on the board, the more women the companies are required to add. For example, if a business has five directors, the law says it must add two women by 2021—six or more directors, then three women must be added to the board. According to CNN, it’s the first law of such kind in the United States, but similar legislation exists in Europe. There has been a recent focus on not just diversifying companies at the executive level, but also in the boardroom. A recent 2017 Deloitte survey revealed “90% of directors indicate that they want greater diversity, approximately half of the surveyed corporations ‘lack a clear process for recruiting candidates with diverse skill sets or new perspectives.’ And despite the fact that more than 90% of the respondents cite that greater board diversity would improve innovation, disruption, and overall business performance, only 16% view lack of diversity among the top challenges in enlisting new board members or succession planning,” writes Black Enterprise SVP/editor-in-chief Derek T. Dingle. Over the past six years, Black Enterprise has identified African Americans who serve on the boards of America’s largest publicly-traded corporations. 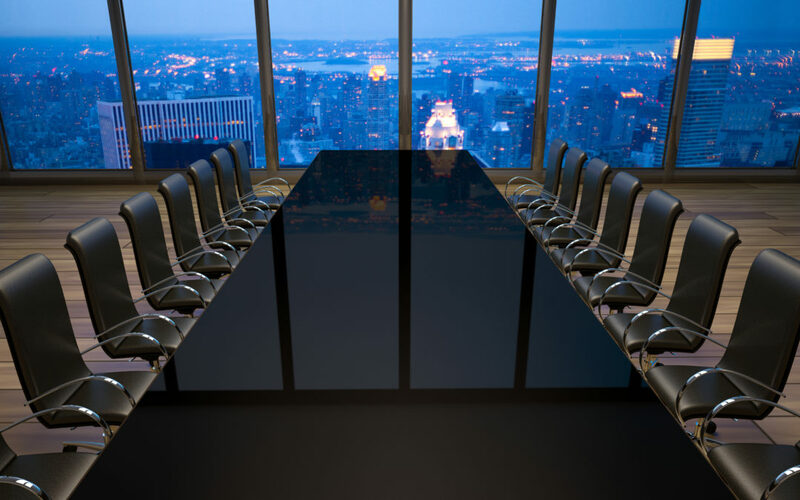 As part of our examination, we have, for the second time, reviewed the entire universe of Standard & Poor’s 500 companies to gain a more thorough assessment of boardroom diversity. 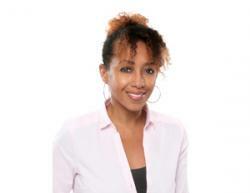 As such, we have witnessed an expansion in the membership of African American board members who comprise our exclusive Black Enterprise Registry of Corporate Directors. 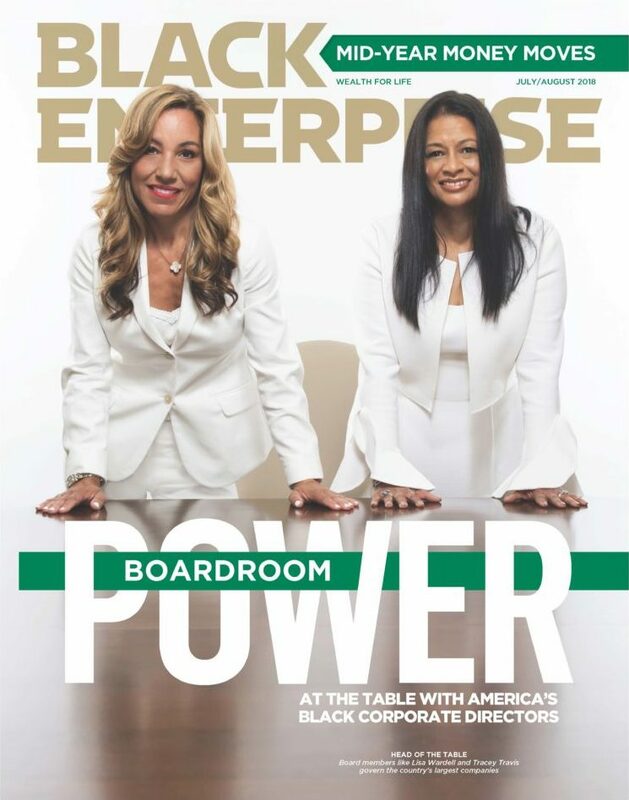 The latest issue of Black Enterprise magazine profiles two black women corporate directors; Lisa Wardell, is the only black woman to serve as CEO in a Fortune 1000 company, Adtalem Global Education. She sits on that company’s board and was just appointed to Lowe’s board. Tracy Travis, chief financial officer of The Estée Lauder Cos., sits on the board of Accenture and previously for Campbell Soup and Jo-Ann Stores. “I had just assumed a corporate CFO role, and I had been working with a headhunting firm to staff my team, and so the headhunter at the time said, “Have you ever thought about being on a board?” Some months went by and I used that opportunity and took some courses from the National Association of Corporate Directors to certify myself in some of the areas of board [service], like compensation committee, strategy, etc.,” Travis said in the article. While many corporate directors subscribe to the idea of more diverse boards, not everyone agrees mandating companies is the way to go. Is It Diversity Only for White Women? The California Chamber of Commerce opposes the law citing it violates “the independent voting rights of corporate boards and force companies to discriminate against qualified men,” The Tribune reports. Trump-appointed SEC Commissioner Hester Peirce also criticized the law. “Opening such a wide door introduces uncertainty and political influence into corporate operations,” she said at a conference. And does this law in any way help get more black and brown people onto corporate boards? One of the California Chamber of Commerce’s concerns about this legislation is it prioritizes gender over other aspects of diversity, reports CNBC. Some may feel this will only put more white women on boards. While there remains a lack of representation of women on boards, the number of black men and women corporate directors are even smaller. Women’s presence on boards have been increasing albeit progress has been slow and incremental. Women make up about 22% of Fortune 500 boards. People of color on boards are scarcer. In 2017, African-Americans accounted for 10.9% of new corporate directors. Part of the problem with getting more people of color on boards is companies often want to appoint those at the c-suite level—preferably CEOs–to boards. In the last few years, the number of black CEOs of publicly-traded companies has dwindled with several high profile business leaders stepping down from their positions, including Xerox’s Ursula Burns and former AMEX CEO Ken Chenault.